A small helicopter buzzed noisily in circles above Vineyard Haven Wednesday afternoon, sparking the curiosity of some Islanders, irritating some others. 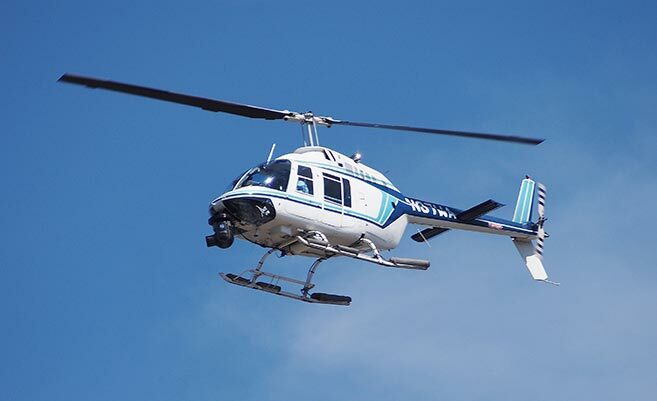 The chartered helicopter, sporting a pendulous bulb beneath its nose, was filming a scene for the ABC Family docu-soap, “The Vineyard,” according to an employee connected to the effort. The Black Dog Tavern in Vineyard Haven has been one of the show’s prime filming locations since cameras began rolling in May. That’s the way 25/7 Productions, the Los Angeles-based production company that created such shows as NBC’s “The Biggest Loser,” described the show in February.